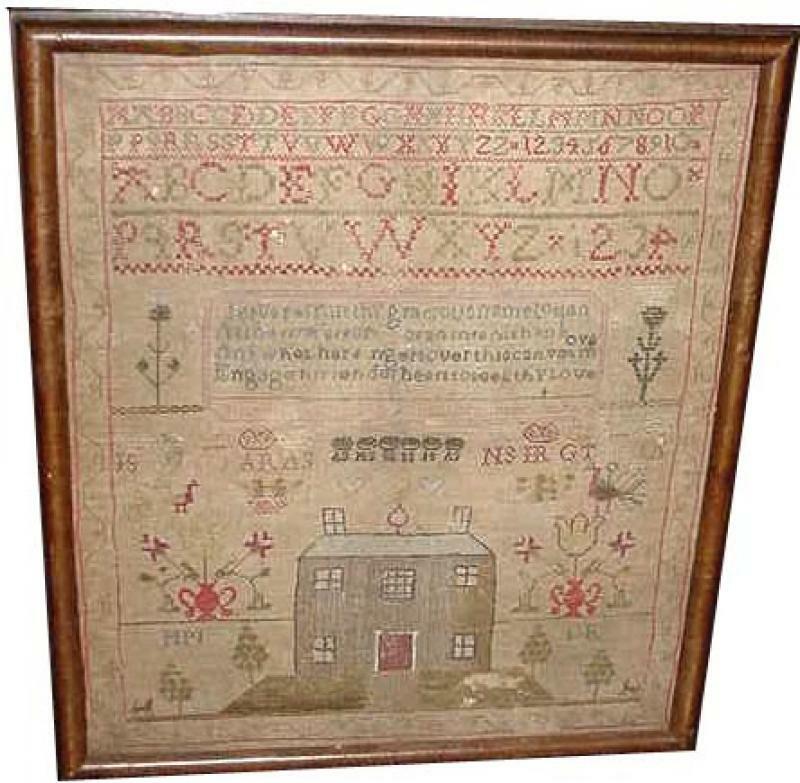 This alphabet sampler has the familiar schoolgirl verse stitched above a two-story brick Federal house: Jesus Permit thy gracious name to stand as the first effort of an infant's hand And when her fingers over this canvas move Engage her tender heart to seek Thy love." The corners are decorated with floral and bird motifs; there are letters throughout probably representing family initials; a narrow crenellated border frames the composition. Possibly English origin; found in Connecticut. Unsigned and undated.